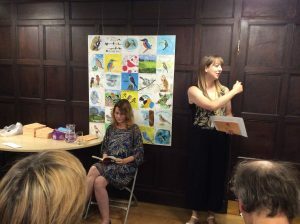 Ledbury Poetry Festival celebrates over two decades as nation’s pre-eminent poetry festival, with award winning programmes in the community and schools. The Festival has been awarded “Best Community Festival” by Visit Herefordshire for the depth and quality of its community engagement. 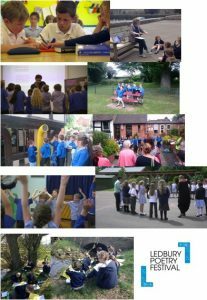 Ledbury Out Loud Festivals in a Day are perfect vehicles for both Discover and Explore Arts Awards. 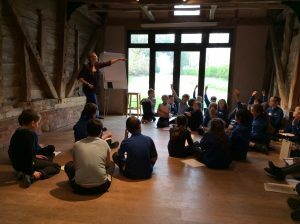 Young people take part in practical arts activities of writing and performing poetry with real live poets. 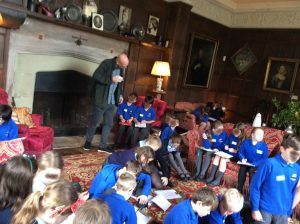 The days include: performances, workshops, Q and A’s with weird and wonderful array of poets in the beautiful heritage setting of Hellens Manor. Young people explore the work of artists and arts organisations through Q and A sessions with poets, or interviews. Young people participate in group performance at end of the day, presenting what they enjoyed, achieved and are most proud of. 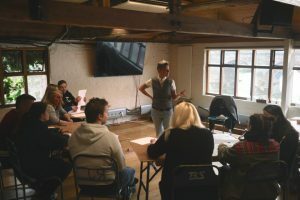 ← Previous Previous post: Community Poetry Workshops!